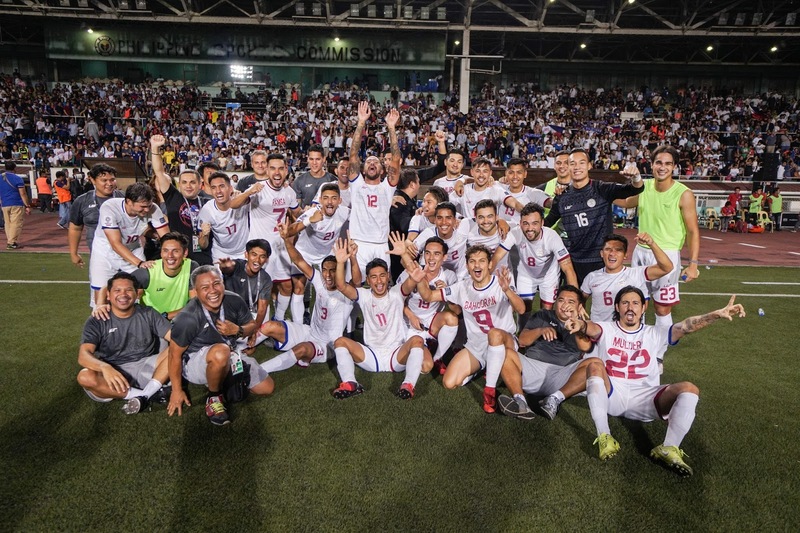 MANILA -- The Philippines placed their highest ranking so far to 113th after their dramatic win against Tajikistan in their Holy Week match that brought them to the 2019 Asian Cup for the first time as per the latest FIFA World Rankings released on Thursday. Still, the Azkals settled to second heaven behind Vietnam (103rd) in the ASEAN Football Federation, while the Azkals are 19th-ranked in the Asian zone. The Philippines is trying to get back to its pieces after they were shattered in the last placing, setting them to their major fullback in their entirety since their bad campaign in Taipei last year, a reason why they were dethroned as the top team in the ASEAN subzone. Germany is still the leader of the rankings. Asian Cup debutant Kyrgyzstan was recognized as the Best Mover for this month's rankings, jumping by 40 points after their pretty campaign in the qualifiers put them to 75th rank, while Haiti is the worst mover, dropping 25 points to belong in 108th place. In the approaching official draw for the 2019 Asian Cup, the Philippines is in Pot 4 along with DPR Korea, Yemen, Bahrain, Jordan, and Turkmenistan. The official draw will be on May 4 in Dubai, United Arab Emirates.